Divide the group into 2-3 teams. Have a leader or two come up front. 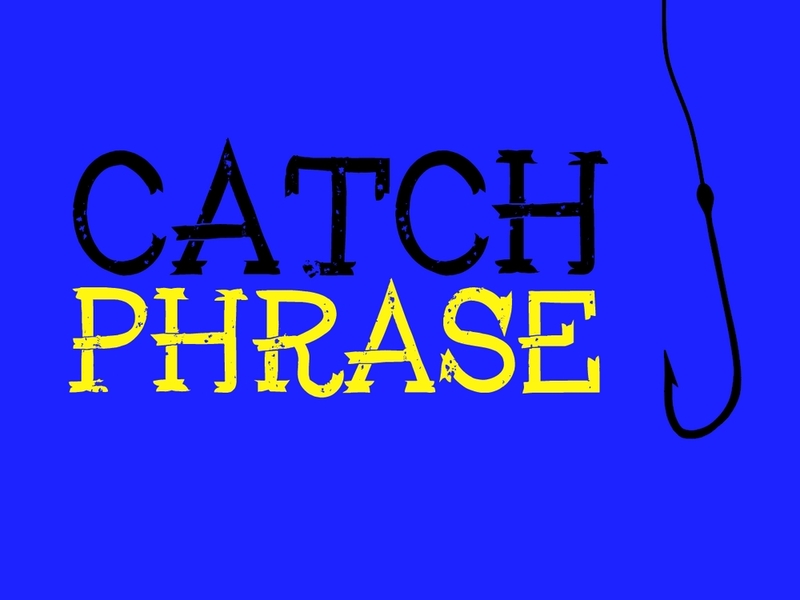 Catch phrase is a lot like charades except you can talk as well as act the word out. Here are the rules: You can't say the actual word or even part of the word (for example, if the word is island, you can't say "land." If the word is door mat, you can't say "door." You can't say "rhymes with or sounds like." You can find a great word generator here. There's a holiday for every day of the year, consider finding which holiday your event happens to be on and making the words match it thematically. Have a list of words prepared ahead of time. Both groups should guess at the same time. This helps to keep things fast paced and adds to the fun and competitiveness. Have one leader act out/describe each word and have another leader judge which team says the right word first. Quickly transition from one word to the next but remember to keep track of the score. We usually write tally marks on a dry erase board.